Have you thought about irrigation? We provide exceptional landscape services to a wide range of commercial and residential customers for over 25 years, including patios, outdoor fireplace and kitchen. Our experienced landscapers set the standard each day in landscape design, hardscape, planting...etc. We will whip your yard into shape in no time.  Stafford Landscape is a full service landscaping company located in the historic Fredericksburg area. Established in 1997, our company has been part of the local community ever since. 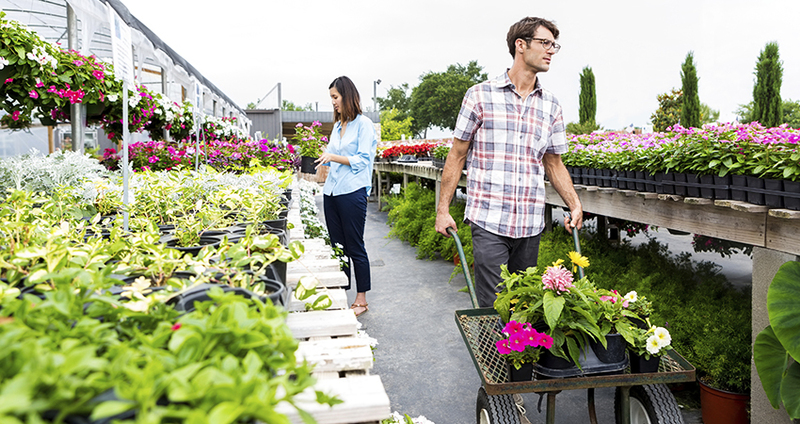 Started as a retail nursery and has grown into one of the premier full service landscape businesses over the years. We now proudly serve our valued customers from Northern Virginia to Richmond. We love what we do and it reflects in our work. Our team of highly skilled landscape professionals are passionate about working with clients designing, constructing and maintaining their outdoor spaces. Through quality customers service and care we can guaranty an exceptional landscape experience for all of our clients. One of our most complex projects in recent years has been recently completed. The elaborate outdoor space hosts several very unique features. 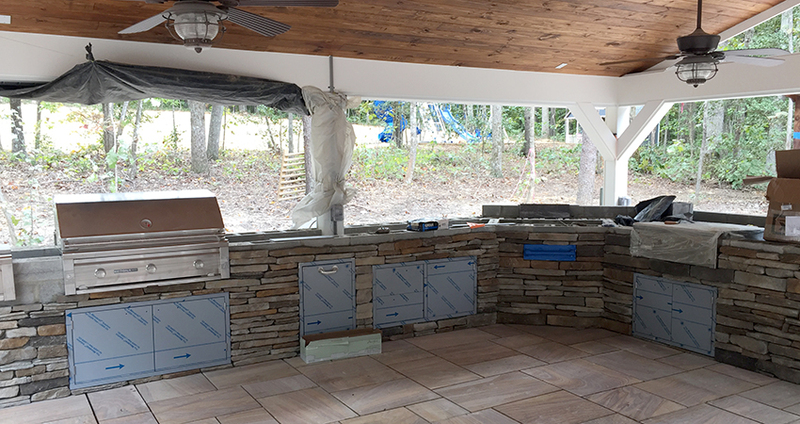 One of them is the custom designed and built outdoor fireplace with two wood storage cabinets. While there is a dedicated spot for a hot tub under an arbor, the outdoor kitchen placed with a pavilion roof above it steals the show. A wide array of high end stainless steel appliances provide the ultimate outdoor experience. We went beyond conventional and installed a two tap kegerator, a built in beverage cooler and a bar that can seat 8-10 guests. Our craftsmen are dedicated to their trade, that combined with their attention to detail, insures a quality, professional landscape job. It has been a pleasure to work with Stafford Nurseries again. This is my second significant landscaping project with your nursery. Ben knows his stuff and I am really pleased with his design and consultations with me about this project. I am proud to say that Stafford Nursery did all of my outside projects and have recommended you to many of my neighbors and friends. All we need now is some good weather so I can enjoy everything. Thank you, thank you, thank you, and may God bless you. Thank you for laying out the planting beds and helping me to decide on what types of plants to use. I want to especially thank you for the beautiful work on the patio. It is truly a wonderful addition to my home. I also thank you for pulling the plants at the nursery and putting them together in one place so I didn’t have to walk in the rain! What a great thing that was. You have a great team and I appreciate that you were easily accessible when I had a question or needed something. The shed is great. I am finally able to park two cars in the garage!